The International Monetary Fund (IMF) said yesterday, that the economic cost of the Ebola crisis to Sierra Leone for the next two years, could run into hundreds of millions of dollars. The IMF report estimates that for 2014, the total impact of the epidemic on the government’s budget could stand at about US$82 million (1.7 percent of non-iron ore GDP), with expenditure pressures likely to continue into 2015, particularly for higher social spending and incentive measures for health workers and farmers. And the financial downturn will continue well into 2015, for which the IMF estimates its impact, in the sum of US$132 million (2.3 percent of non-iron ore GDP), comprising 1.6 percent of revenue loss and 0.7 percent of additional expenditure. Adverse pressure on state finances is already being felt. The government is seriously defaulting on payment of its bills, public sector workers’ salaries and contractors’ fees. With 26 ministers running the country, questions must be asked as to what those ministers have been doing in the last six months, as Sierra Leone is now seriously paralysed by Ebola. Critics say the government is overbloated and needs purging to trim spending. Although most sectors of the country are invariably functioning, there is plenty of evidence to suggest that some ministries and departments – especially education, tourism, agriculture, trade and industry, have witnessed a massive drop in productivity in the last six months. The Ebola outbreak that started in one district in late May has spread to the entire country, overwhelming already weak institutions and ill-equipped medical facilities. At end-August, over 1000 people were infected and more than a third had died from the disease. The country’s social and economic fabric is also adversely affected by the epidemic. Economic growth has slowed, inflationary pressures have intensified, and new balance of payments and fiscal financing needs have emerged. The epidemic has heightened food insecurity and impacted livelihoods for a large portion of the population, generating additional distress for vulnerable groups. To contain the disease, the authorities have quarantined the most affected regions and prohibited large gatherings. Neighbouring countries have closed their borders with Sierra Leone, and a number of international airlines have suspended flights to the country. These measures have affected activities in agriculture, trade and services, tourism, transport and construction. As a result, there has been income loss and increased food insecurity, heightening pressure on vulnerable groups. In addition, health service delivery has been disrupted because most health facilities are no longer providing basic care; some privately-owned health facilities have shut down for fear of contamination; and a large number of health workers have been infected with the virus. 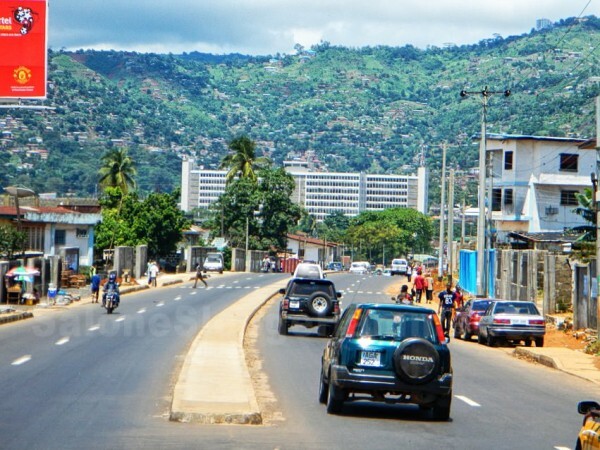 In October 21, 2013, the Executive Board approved a three-year arrangement under the Extended Credit Facility (ECF) for Sierra Leone totaling SDR 62.2 million (60 percent of quota). The first review under the program was completed on June 19, 2014. Preliminary indications are that performance under the program is on track, in spite of weaknesses in budget execution at end-June. In the attached letter of intent, the Sierra Leone authorities are requesting an Ad Hoc review under the ECF arrangement, and an augmentation of access in an amount equivalent to 25 percent of quota (SDR 25.925 million), in a single disbursement. These resources, together with contributions from other donors will help cover balance of payments and budgetary financing needs generated by the Ebola epidemic. The authorities are also requesting a modification of end-December 2014 performance criteria on net domestic bank credit to the central government, and on net domestic assets of the central bank. Economic growth accelerated in the last two years reaching 20 percent in 2013, thanks to the resumption of iron ore production, scaling up of infrastructure investment, and robust activity in the non-iron ore sector; and inflationary pressures receded thanks to tighter monetary policy stance and increased food supply. Based on these developments and assuming continued implementation of pro-growth policies, before the Ebola outbreak, staff projected a real GDP growth rate of 11¼ percent for 2014, and an inflation rate of 7.5 percent at end-year. Revenue underperformed on account of lower proceeds from the mining sector and taxes on goods and services, as well as corporate income tax. Expenditures were higher than projected, mostly because of overruns in wages and salaries due to new recruitments; some Ebola-related expenditure, and higher than expected spending for goods and services and domestic investment. In addition, financing from the securities market was lower than programmed due to unexpected redemptions; and some external budget support was delayed. 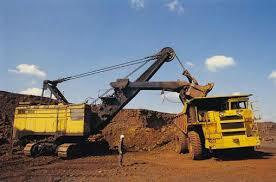 The combination of these factors resulted in the accumulation of unpaid bills totalling 1 percent of non-iron ore GDP. The authorities have indicated that these bills will be cleared by end-December through expenditure reallocation and cuts in the second half of the year. 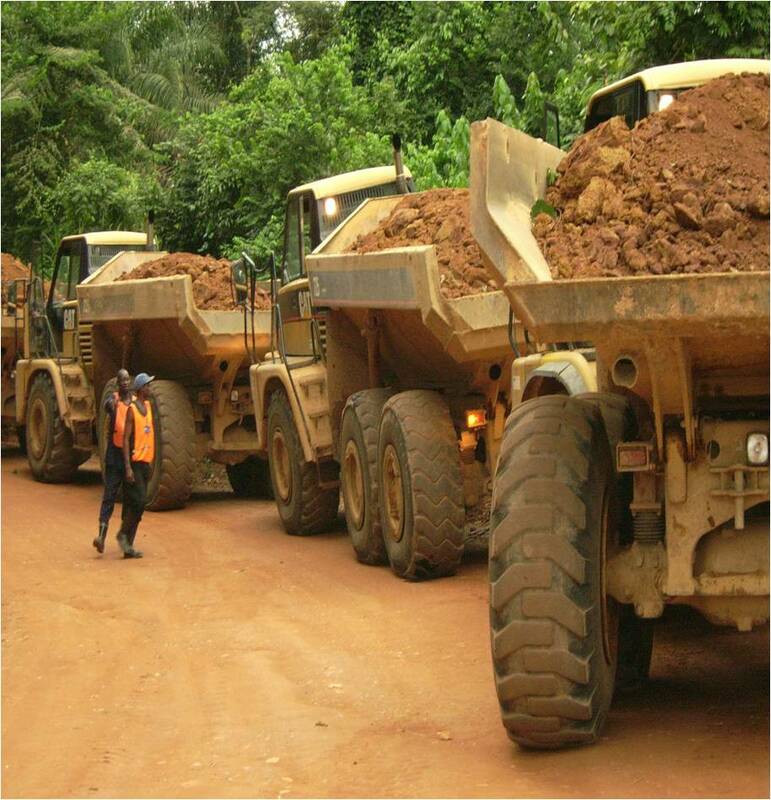 Based on preliminary data, staff estimates a growth slowdown from 11¼ percent to 8 percent in 2014 due to disruptions and reduced activity in key sectors that drive growth, notably mining, agriculture, construction, services, transport and tourism. IMF Staff projections assume a slow recovery beginning in the second quarter of 2015, with real GDP growth rate projected at 10.4 percent. Price pressures have flared up because of lower domestic production and disruption of supply chains. The inflation rate that had declined from 8.5 percent (y/y) at end-2013 to 7.5 percent at end March rose to 8 percent at end-July. The current account deficit is expected to be larger than projected as export growth decelerates, in line with reduced domestic production, and imports increase to cover additional needs for medical and emergency food supplies, fuel, and capital equipment for new health centres. Some offsetting impact is expected from lower import of services and income transfers linked with reduced exports. While the capital account is expected to remain broadly unchanged, the overall balance of payments (BOP) is now projected to shift from a surplus of US$38 million to a deficit of US$72.4 million. Taking into account the programmed reserve cover of 3.6 months of imports, there is a financing gap of US$110 million. Available information indicates that the Leone depreciated in the parallel foreign exchange market by 6 percent between end-May and mid-August due to excess demand pressures. 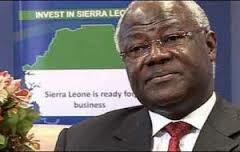 Sierra Leone has a flexible exchange rate system and the Leone is expected to stabilize once the pressures subside. Economic prospects for 2014–15 are highly uncertain and subject to significant downside risks linked to volatility in global commodity prices, notably for iron ore; the fragile fiscal position; and now, the uncertain duration and severity of the Ebola epidemic. If downside risks materialize, the authorities will have to further scale back the domestic capital budget or increase borrowing from the securities market. Staff encouraged them to continue engaging Sierra Leone’s development partners for additional financial aid commensurate with the adverse impact of a prolonged Ebola epidemic. The authorities and staff agreed that the program fiscal objectives for 2014–15 should be adjusted, consistent with available financing. Based on staff’s preliminary estimates, the domestic primary deficit will be higher than expected in 2014–15, in view of the estimated revenue loss and additional spending generated by the Ebola epidemic. Revenue collection will be adversely affected by reduced economic activity, lower mining revenue, and potentially weaker taxpayer compliance. IMF Staff estimates the Ebola-related revenue shortfall at about US$46 million (1 percent of non-iron ore GPD) in the second half of 2014, and about US$91 million (1.6 percent of non-iron ore GDP) in 2015. For 2015, the adverse impact on revenue is mainly driven by expected lower corporate and personal income tax payments because of the economic downturn in 2014; and lower taxes on goods and services and on international trade due to the assumed lingering impact of the Ebola epidemic on economic activity in the first half of 2015. IMF Staff encouraged the authorities to continue enhancing tax administration to address the new revenue collection challenges, particularly through measures aimed at curbing tax evasion, strengthening controls, and reducing duty waivers. In July, the authorities estimated the cost of the Ebola first response plan at US$26 million. Other Ebola-related costs, including outlays on security to enforce quarantine measures and food for quarantined zones are estimated at US$10 million. In view of the emergency situation, Ebola-related outlays are being executed through presidential decree, consistent with the State of Emergency declared by President Koroma in July. Staff estimates that for 2014, the total impact of the epidemic on the budget is about US$82 million (1.7 percent of non-iron ore GDP). Expenditure pressures are likely to continue in 2015, particularly for higher social spending and incentive measures for health workers and farmers. The estimated total impact of Ebola for 2015 amounts to US$132 million (2.3 percent of non-iron ore GDP), comprising 1.6 percent of revenue loss and 0.7 percent of additional expenditure. For 2014, the 1.7 percent of non-iron ore GDP financing gap is expected to be filled through a combination of increased donor support (of some 0.9 percent of non-iron ore GDP, which the authorities are soliciting), higher domestic financing (0.4 percent of non-iron ore GDP), and some adjustment (0.3 percent of non-iron ore GDP by scaling back public investment). For 2015, the authorities hope to minimize further still their reliance on expensive domestic borrowing and policy adjustment to the extent they can, and accordingly intend to approach development partners for significantly higher BOP support. Based on identified measures and support from the United Nations (UN) and other development partners, the authorities launched an Accelerated Ebola Outbreak Response Plan with an estimated cost of US$26 million. It covered four thematic priority areas for a six-month period through December 2014. 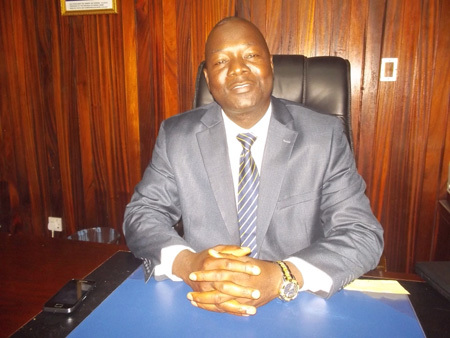 The authorities have also taken steps to ensure accountability and effective use of Ebola-related funding. They have enhanced financial management procedures and assigned management of the Ebola Fund to the Emergency Operations Center, with fiduciary oversight by a consultancy firm, KPMG. They have pledged US$7.7 million to finance the abovementioned Ebola response plan; and the UN has issued an appeal to raise the remaining balance. 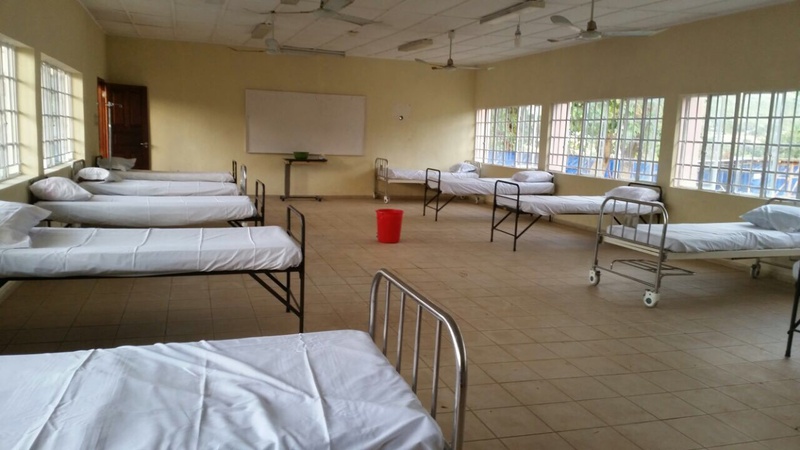 Donors have also provided financing, equipment, medical supplies, logistical support, and personnel to run the Treatment Centres. They have channelled funding through the UN and NGOs, with total support estimated at US$62.4 million at end-August. Additional funding has been pledged at the regional level, and country allocations are expected in coming weeks. The Ebola epidemic worsened considerably in recent months and continues to spread, causing significant social hardship. Economic activity has slowed, reducing households’ incomes and heightening vulnerability for large portions of the population, particularly in rural areas. The epidemic has also overwhelmed existing healthcare infrastructure and curtailed basic health provision. Increased support from the international community in terms of financial resources, logistics and health services is urgently needed to contain the epidemic and mitigate its social and economic impact. Since the epidemic is still progressing, its full impact cannot be assessed at this stage. Nonetheless, for 2014, staff estimates an output loss of 3 percentage points, lowering the real GDP growth to 8 percent. Supply chains disruptions as well as deceleration in agriculture growth are fuelling inflationary pressures. The twelve-month inflation rate is now projected at 10 percent (year on year) at end-December, up from 7.5 percent originally anticipated. There are also increased risks to financial sector stability as credit to the economy is expected to decline while non-performing loans are likely to rise, consistent with slow economic activity. Staff expects the epidemic to have lingering effects in 2015 on growth and on the fiscal position. Preliminary information indicates that the cost to the budget, covering lost revenue and additional spending, as well as balance of payments needs would be above US$200 million for 2014–15. 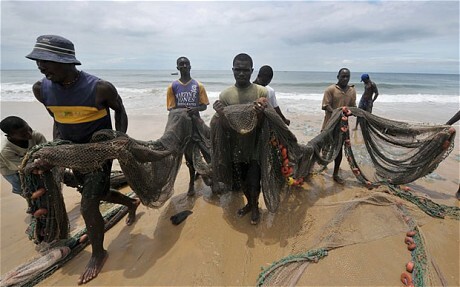 Additional financial support from Sierra Leone’s development partners is critically needed to support the authorities’ efforts to contain the spread of the epidemic, revamp social protection measures for the most vulnerable groups of the population, and contain the cost of domestic adjustment measures which will involve drastic capital expenditure cuts. It supports their resolve to keep the program on track, and to implement needed adjustment measures to avoid accumulation of domestic payment arrears, and limit borrowing in the securities market. It notes that continued progress in reform implementation, and sound fiscal and monetary policies are needed to support economic recovery once the epidemic is contained. (Photo: Finance minister Marah). In particular, the authorities should endeavour to contain non-priority spending and continue advancing public financial management reforms to shield the budget against downside risks, particularly from lower global iron ore prices or a prolonged Ebola epidemic. IMF Staff encourages BoSL to step up the banking system supervision to safeguard healthy lending. As current inflationary pressures are mostly driven by supply-side shocks and expected to be temporary, staff agrees with the BoSL’s position to only seek to lean against second round inflationary pressures. Nonetheless, IMF staff encourages the BoSL to stand ready to mop up any excess liquidity as market conditions evolve.